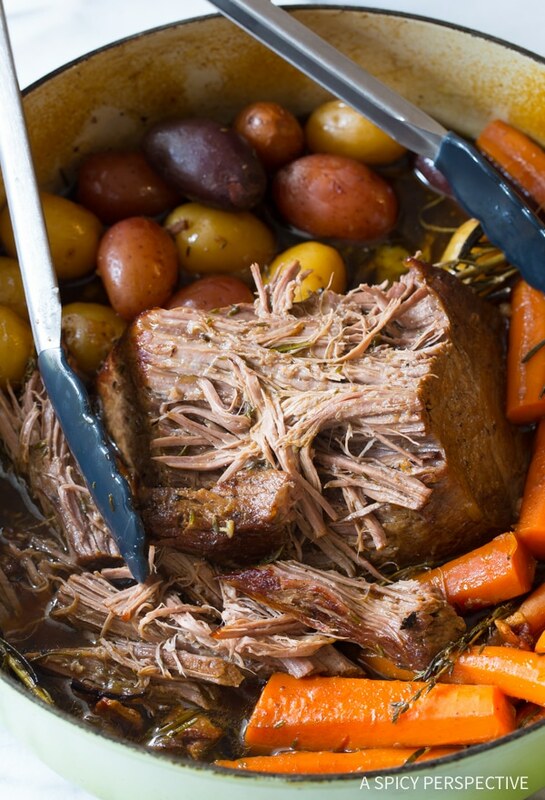 My Mom’s Best Beef Pot Roast is tender, juicy, and packed with flavor. 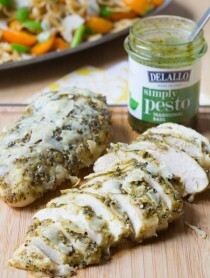 The perfect Sunday dinner to bring the family together! My mom makes the most amazing pot roast. It’s hard to pin-point exactly why it’s so darn good. The wow-factor doesn’t come from fancy ingredients or cooking methods. 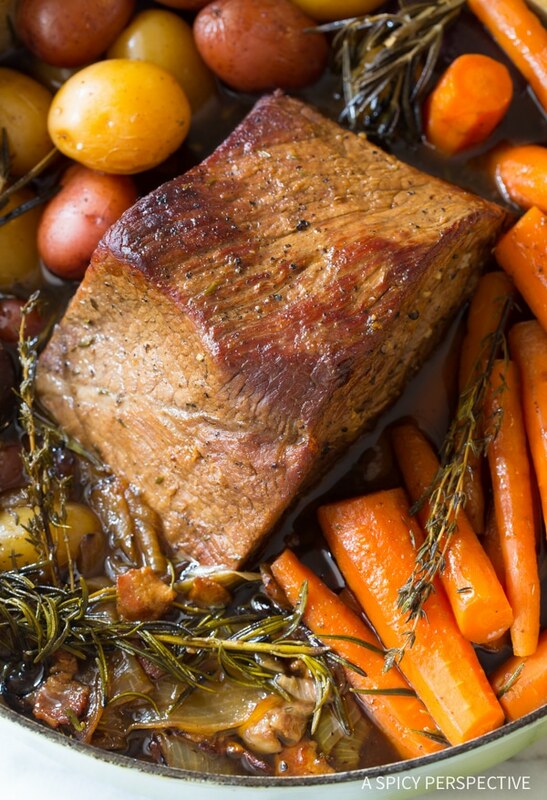 Mom’s Best Beef Pot Roast is a humble classic-American roast with carrots, onions, and potatoes, that blow everyone else’s pot roast out of the water… In my opinion. Personally, I think it’s just years (and years) of practice. Mom made her pot roast at least a couple times a month, throughout my entire childhood. She would prep the roast before church on Sunday mornings, then place it in the oven as we walked out the door. Later, we would come home to a house filled with the aroma of pure comfort. Select a large beef roast that will shred well when cooked over time. It’s best to find one with some fat marbling, like a chuck roast, rump roast, or some top round roasts. Even lean roasts will cook down and shred. 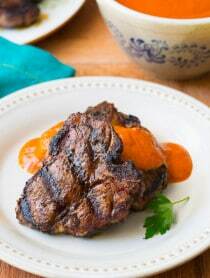 Yet the marbled fat provides rich flavor and gives the slow cooked meat a more luxurious texture. Create a base layer of flavor in the pot. I do this by sautéing bacon in the pot, then adding onions wedges, garlic, and fresh rosemary and thyme sprigs. Then and only then, brown the beef roast. Once you’ve got a coating of herb-infused bacon fat in the bottom of the pot, give that flavor the opportunity to sizzle into the roast on all sides. This seals in the flavor, and creates a foundation for all the other flavors to build upon. Make sure to salt and pepper the beef thoroughly before searing. Add a couple secret ingredients… That aren’t so secret. Make sure to add a generous amount of Worcestershire sauce to the pot before placing the roast in the oven. This gives the beef and all the veggies additional depth while slow roasting. Second, instead of adding beef broth, use beef base. Beef base is concentrated beef stock. 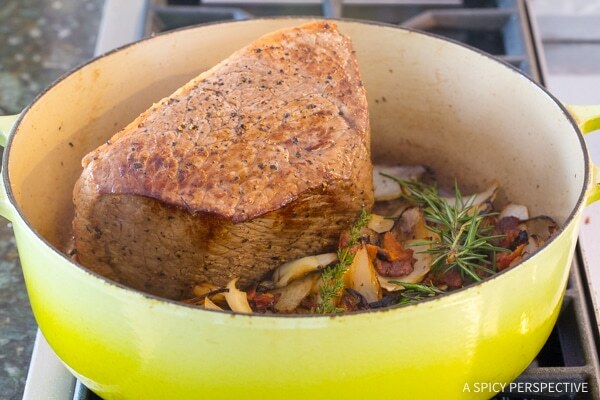 Therefore if you add it to the pot roast with a smaller portion of water, the roast will absorb the concentrated flavor and give the roast an extremely beefy essence. You can keep beef base in the refrigerator for a long time and use it for gravy and soups. The more carrots, the merrier. In mom’s recipe, you’ll notice there are more carrots than potatoes. Yes, this is intentional, and yes, if you have room in your dutch oven you should always add more carrots than listed. 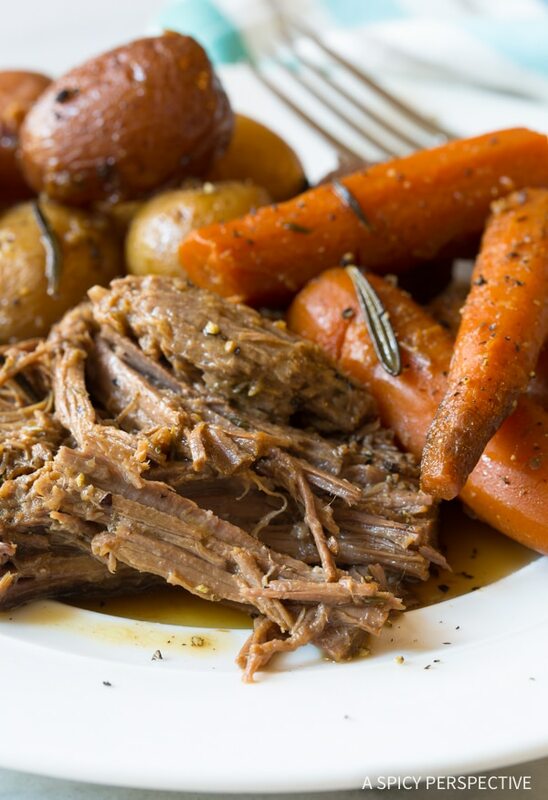 The carrots offer a touch of rustic sweetness to Mom’s Best Beef Pot Roast Dinner, that seasons the entire meal. They are so soft, silky, and sweet, the carrots are always the first thing to disappear. When in doubt, add more carrots! Finally, slow cook for tender beef. Cover the pot with a heavy lid and place it in a 300 degree oven. Roast the beef and vegetables one hour, for every pound of beef. When you open the pot, you’ll find a succulent piece of meat, begging to be shredded. I know what’s coming next… You read the words “slow cook” and now you want to know if you can make this recipe in your crockpot. Am I right? Yes, you can turn this into a slow cooker recipe. However, you must sear the bacon, onions, herbs, and beef prior to placing in the crockpot. 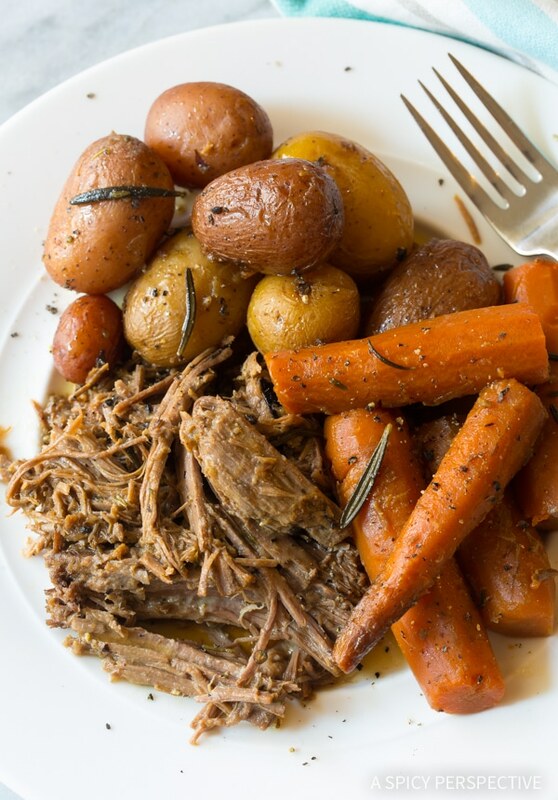 If you put the ingredients in the crockpot raw, you will end up with a shallow mediocre version of Mom’s Best Beef Pot Roast Dinner. What a travesty. However, prep Mom’s Best Beef Pot Roast as listed in the recipe, and you will have a meal your family begs for again and again! Mom's Best Beef Pot Roast Recipe - Absolutely the juiciest most tender pot roast recipe you'll ever try. A roast beef recipe you'll make again and again! Preheat the oven to 300 degrees F. Move the oven racks up or down to accommodate a large pot. Salt and pepper the beef roast generously on all sides. Place the chopped bacon in a 6-8 quart dutch oven (or oven safe pot with lid.) Set the pot over medium heat and cook the bacon, stirring occasionally. 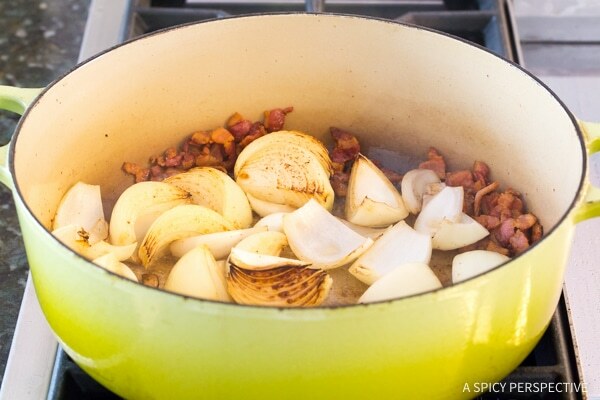 Once the bacon is mostly cooked, add the onion wedges, garlic, and fresh herbs. Let the onions sauté on both sides, then move the onions and bacon to the side and add the beef roast. Brown the roast on all sides, flipping every 2-3 minutes. Move the beef roast to the center of the pot. Move the onions and bacon to one side. Pour the Worcestershire sauce, water, and beef base to the pot. Arrange the carrots and potatoes around the beef. Cover the pot with a heavy lid and place it in the oven for 4 hours, or until the meat is fork tender. Shred the beef and serve warm with potatoes, carrots, onions, and pan juices. NOTES: 1) If you want gravy for your pot roast, take the beef and vegetables out of the pan juices after cooking. Shred the beef and place it on a platter with the veggies. 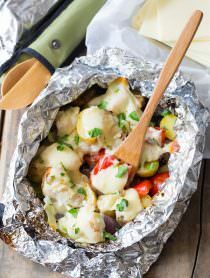 Cover with foil to keep warm. Then scoop out 1/2 cup pan juice and place in a bowl. Swirl the bowl to cool the juice. Whisk 1-2 tablespoons of corn starch (or flour) into the juices. Whisk until smooth. Then whisk the smaller portion of juice with cornstarch back into the pot. Heat over medium-high until the juices thicken into gravy. Let the gravy simmer until it reaches your desired consistency. Add a little water if it is too thick. Serve warm over the roast. 2) Yes, you can turn this into a slow cooker recipe. However, you must sear the bacon, onions, herbs, and beef prior to placing in the crockpot. If you put the ingredients in the crockpot raw, you will end up with shallow mediocre version of Mom's Best Beef Pot Roast Dinner. Slow cook on high for 6-8 hours or on low for 10-12 hours. Smelling the succulent roast baking now for my boyfriend who lost his job today. I asked him what i could make for dinner and he exclaimed pot roast like my mom used to make!! ….this recipe should fit the bill. Thank you!! This is now the only way my wife and I prepare pot roast. The only changes I’ve made is that I use 3/4 cup of red wine and 3/4 cup of beef stock rather than water. My wife and sons really seem to like this much better than the way I used to make it. Thanks for the great recipe. Please note, the pop up advertising makes this site EXTREMELY frustrating to use! I made this pot roast and everyone loved it. I reduced the water by 1/2 cup and added red wine. And also because I’m lazy, salt pepper and flour on the meat prior to searing to make more of a gravy. The meat was tender , the veggies were delish and the plates were licked clean. Stop talking about it and make it! I love pot roast!! This looks incredible!! Could really go for a comfy meal like this right now! Pot Roast always has a comforting feeling for me. Reminds me of home. 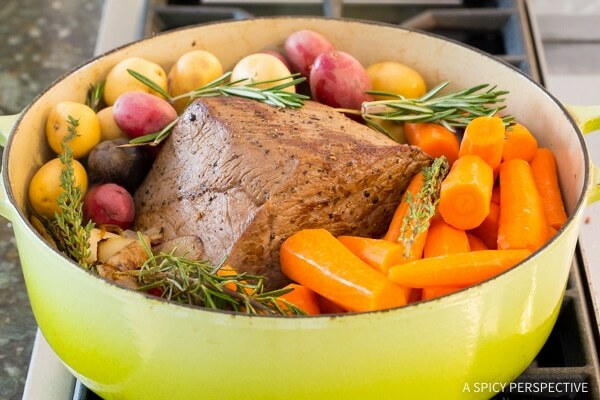 I love old fashioned pot roast! This looks awesome! One of our favorite Sunday Dinners! I love cozy Sunday meals like this!